Glastron dealer Gary Tennefoss, owner of Ravenna Marine in Ravenna, Ohio, applauds Groupe Beneteau for its willingness "to learn and understand our markets." At the group’s dealer meeting this week, I roamed the docks at the Hyatt Regency Hotel and asked a handful of those dealers to rate the performance of the group as it heads into its third year of ownership. Stolt carries Glastron and may add Wellcraft to his lineup, which also includes Manitou Pontoons, he said. 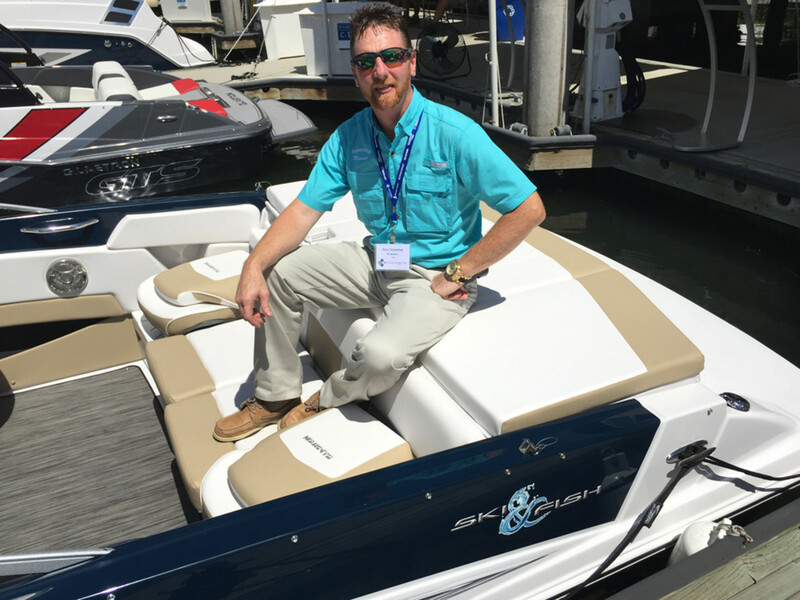 The Stolts were impressed with the Wellcraft 222 Fisherman center console because it includes a lot of equipment found on costlier boats, such as an enclosed head. “We also like the fact that these boats are American-built,” Knatalie Stolt added. Dan Bursey, owner of Harper Powersports and Marine in Haliburton, Ontario, said the group has been improving quality control, which is important for a dealer in northern climes. “We have such a short season here — we need the boats ready to go when they arrive. They do bend over backward to get you the parts quickly,” Bursey said. Groupe Beneteau acquired Rec Boat Holdings in June of 2014. Solberg believes the group is in this for the long haul. “It’s a boat company with a pedigree and heritage,” he said. The future looks good if Groupe Beneteau “can keep design changes and models fresh enough to continue gaining market share,” he said. “Christophe Lavigne has done a good job,” Solberg said, referring to the vice president of engineering for the group’s four American brands. 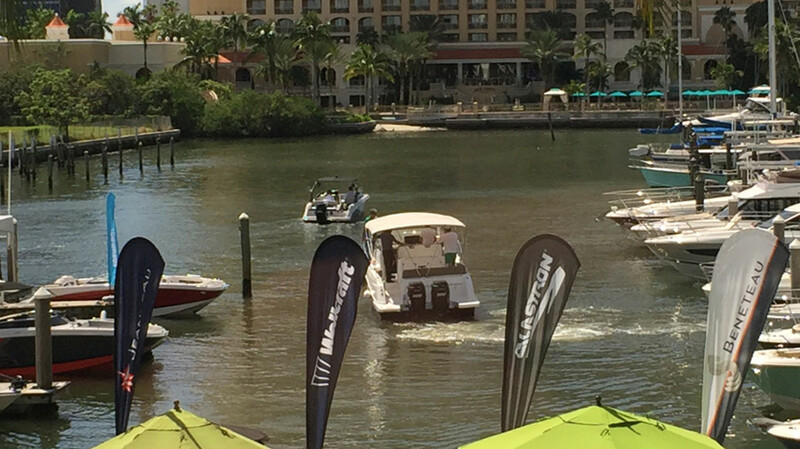 Dealers Tuesday spent another day at the Hyatt Regency Hotel in Sarasota, Fla., testing Groupe Beneteau boats. About 30 boats — vessels from six of the group&apos;s 10 brands — were in the water. Groupe Beneteau’s dealer meeting wraps up today. Tennefoss said Groupe Beneteau is embracing the design skills of the teams in place. “That has been a big positive with the Beneteau Group,” he said. Hudson’s Outboard Inc., of Salisbury Mass., just became a dealer for one of Groupe Beneteau’s Jeanneau brands — the Merry Fisher, pilothouse boats from 22 to 28 feet that are now called the “NC” (New Concept) in North American markets. Salisbury is on the state’s northern coast, bordering New Hampshire. Hudson’s also sells Key West and World Cat boats. Tobin has been in the marine industry for several decades. He said he previously worked as a manufacturer’s representative for a handful of boat companies, including Wellcraft, Larson and Aquasport.